Orson Welles arrived in Hollywood in 1939 having negotiated a two-picture deal as producer-director-writer-actor with George Schaefer of RKO Pictures. Drawing on an entourage of colleagues from New York theatre and radio, he established Mercury Productions as a filmmaking entity. Before embarking on Citizen Kane (1941) and The Magnificent Ambersons (1942), Welles developed other properties: Nicholas Blake’s just-published anti-fascist thriller The Smiler With a Knife (1939), Conrad’s Heart of Darkness (1902) and Stoker’s Dracula (1897). Like the Conrad, Dracula was a novel Welles had already done for the Mercury Theatre on the Air radio series (July 11, 1938). A script was prepared (by Welles, Herman Mankiewicz and, uncredited, John Houseman), sets were designed, the film cast, and ‘tests’ – the extent of which have never been revealed – shot, but the project was dropped. 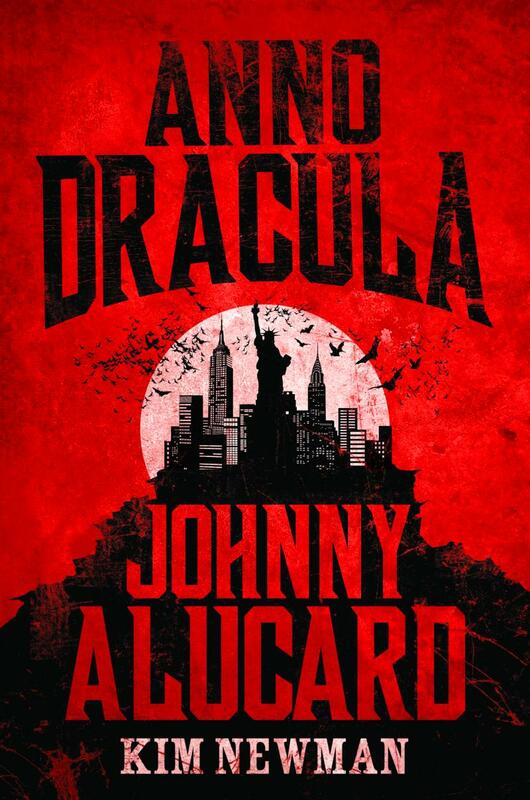 Listen to the podcast of Kim Newman’s interview on Johnny Alucard. The reasons for the abandonment of Count Dracula remain obscure. It has been speculated that RKO were nervous about Welles’s stated intention to film most of the story with a first-person camera, adopting the viewpoints of the various characters as Stoker does in his might-have-been fictional history. Houseman, in his memoir Run-Through (1972), alleges that Welles’s enthusiasm for this device was at least partly due to the fact that it would keep the fearless vampire slayers – Harker, Van Helsing, Quincey, Holmwood – mostly off screen, while Dracula, the object of their attention, would always be in view. Houseman, long estranged from Welles at the time of writing, needlessly adds that Welles would have played Dracula. He toyed with the idea of playing Harker as well, before deciding William Alland could do it if kept to the shadows and occasionally dubbed by Welles. 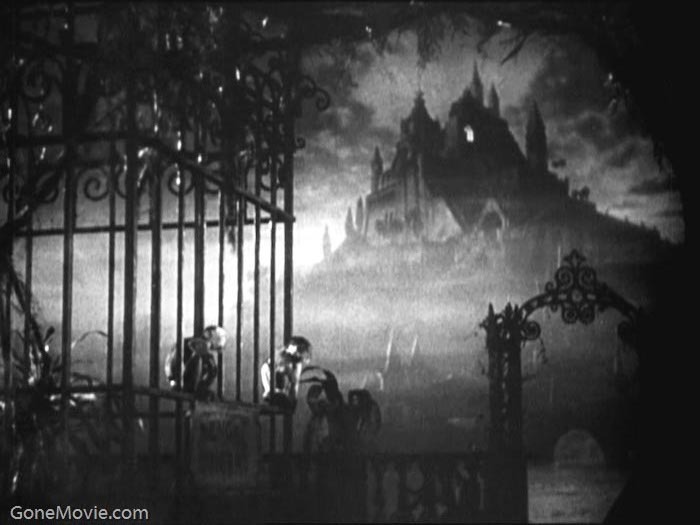 The rapidly changing political situation in Europe, already forcing the Roosevelt administration to reassess its policies about vampirism and the very real Count Dracula, may have prompted certain factions to bring pressure to bear on RKO that such a film was ‘inadvisable’ for 1940. Throughout Welles’s career, Dracula remained an idée fixe. The Welles-Mankiewicz script was RKO property and the studio resisted Welles’s offer to buy it back. They set their asking price at the notional but substantial sum accountants reckoned had been lost on the double debacle of Ambersons and the unfinished South American project, It’s All True. When Schaefer, Welles’s patron, was removed from his position as Vice-President in Charge of Production and replaced by Charles Koerner, there was serious talk of putting the script into production through producer Val Lewton’s unit, which had established a reputation for low-budget supernatural dramas with Cat People (1942). Lewton got as far as having DeWitt Bodeen and then Curt Siodmak take runs at further drafts, scaling the script down to fit a strait-jacket budget. Jacques Tourneur was attached to direct, though editor Mark Robson was considered when Tourneur was promoted to A Pictures. Stock players were assigned supporting roles: Tom Conway (Dr Seward), Kent Smith (Jonathan Harker), Henry Daniell (Van Helsing), Jean Brooks (Lucy), Alan Napier (Arthur Holmwood), Skelton Knaggs (Renfield), Elizabeth Russell (Countess Marya Dolingen), Sir Lancelot (a calypso-singing coachman). Simone Simon, star of Cat People, was set for Mina, very much the focus of Lewton’s take on the story, but the project fell through because RKO were unable to secure their first and only choice of star, Boris Karloff, who was committed to Arsenic and Old Lace on Broadway. In 1944, RKO sold the Welles-Mankiewicz script, along with a parcel of set designs, to 20th Century Fox. Studio head Darryl F. Zanuck offered Welles the role of Dracula, promising Joan Fontaine and Olivia de Havilland for Mina and Lucy, suggesting Tyrone Power (Jonathan), George Sanders (Arthur), John Carradine (Quincey) and Laird Cregar (Van Helsing). This Dracula would have been a follow-up to Fox’s successful Welles-Fontaine Jane Eyre (1943) and Welles might have committed if Zanuck had again assigned weak-willed Robert Stevenson, allowing Welles to direct in everything but credit. However, on a project this ‘important’, Zanuck would consider only two directors; John Ford had no interest – sparing us John Wayne, Victor McLaglen, Ward Bond and John Agar as brawling, boozing fearless vampire slayers – so it inevitably fell to Henry King, a specialist in molasses-slow historical subjects like Lloyd’s of London (1936) and Brigham Young (1940). King, a plodder who had a brief flash of genius in a few later films with Gregory Peck, had his own, highly developed, chocolate-box style and gravitas, and was not a congenial director for Welles, whose mercurial temperament was unsuited to methods he considered conservative and dreary. The film still might have been made, since Welles was as ever in need of money, but Zanuck went cold on Dracula at the end of the War when the Count was moving into his Italian exile. Fox wound up backing Prince of Foxes (1949), directed by King, with Power and Welles topping the cast, shot on location in Europe. A lavish bore, enlivened briefly by Welles’s committed Cesare Borgia, this suggests what the Zanuck Dracula might have been like. Welles used much of his earnings from the long shoot to pour into film projects made in bits and pieces over several years: the completed Othello (1952), the unfinished Don Quixote (begun 1955) and, rarely mentioned until now, yet another Dracula. El conde Dr&#224cula, a French-Italian-Mexican-American-Irish-Liechtensteinian-British-Yugoslav-Moroccan-Iranian co-production, was shot in snippets, the earliest dating from 1949, the latest from 1972. Each major part was taken by several actors, or single actors over a span of years. In the controversial edit supervised by the Spaniard Jesus Franco – a second-unit director on Welles’s Chimes at Midnight (1966) – and premiered at Cannes in 1997, the cast is as follows: Akim Tamiroff (Van Helsing), Micheál MacLiammóir (Jonathan), Paola Mori (Mina), Michael Redgrave (Arthur), Patty McCormick (Lucy), Hilton Edwards (Dr Seward), Mischa Auer (Renfield). The vampire brides are played by Jeanne Moreau, Suzanne Cloutier and Katina Paxinou, shot in different years on different continents. There is no sight of Francisco Reiguera, Welles’s Quixote, cast as a skeletal Dracula, and the Count is present only as a substantial shadow voiced (as are several other characters) by Welles himself. Much of the film runs silent, and a crucial framing story, explaining the multi-narrator device, was either never filmed or shot and lost. Jonathan’s panicky exploration of his castle prison, filled with steam like the Turkish bath in Othello, is the most remarkable, purely Expressionist scene Welles ever shot. But the final ascent to Castle Dracula, with Tamiroff dodging patently papier-mâché falling boulders and wobbly zooms into and out of stray details hardly seems the work of anyone other than a fumbling amateur. In no sense ‘a real film’, El conde Dr&#224cula is a scrapbook of images from the novel and Welles’s imagination. He told Henry Jaglom that he considered the project a private exercise, to keep the subject in his mind, a series of sketches for a painting he would execute later. As Francis Coppola would in 1977, while his multi-million-dollar Dracula was bogged down in production problems in Romania, Welles often made comparisons with the Sistine Chapel. In 1973, Welles assembled some El conde Dr&#224cula footage, along with documentary material about the real Count Dracula and the scandals that followed his true death in 1959: the alleged, much-disputed will that deeded much of his vast fortune to English housewife Vivian Nicholson, who claimed she had encountered Dracula while on a school holiday in the early ’50s; the autobiography Clifford Irving sold for a record-breaking advance in 1971, only to have the book exposed as an arrant fake written by Irving in collaboration with Fred Saberhagen; the squabbles among sundry vampire elders, notably Baron Meinster and Princess Asa Vajda, as to who should claim the Count’s unofficial title as ruler of their kind, King of the Cats. Welles called this playful, essay-like film – constructed around the skeleton of footage shot by Calvin Floyd for his own documentary, In Search of Dracula (1971) – When Are You Going to Finish el conde Dr&#224cula? , though it was exhibited in most territories as D is for Dracula. On the evening Premier Ceauşescu withdrew the Romanian Cavalry needed for Coppola’s assault on Castle Dracula in order to pursue the vampire banditti of the Transylvania Movement in the next valley, Francis Ford Coppola held a private screening of D is for Dracula and cabled Welles that there was a curse on anyone who dared invoke the dread name. This is an extract from Anno Dracula: Johnny Alucard by Kim Newman. First published in Video Watchdog No 23, May-July 1994.